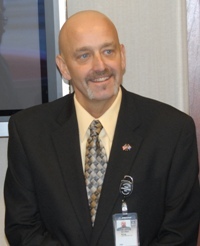 The Greater St. Louis Port Council, AFL-CIO, announced that it has selected District 837 President and Directing Business Representative Gordon King as the 2011 Labor Man of the Year. The award cites King’s dedication to the promotion of the interests of organized labor in the St. Louis community and his dedication to the members he represents. This year marks the 31st time the annual award has been presented and the first time it has been awarded to a District 837 member. District 837 represents more than 2,500 employees in St. Louis, where members at Boeing work on F/A-18E/F Super Hornets, EA-18G Growlers and F-15 Strike Eagles. IAM members there also work on C17 parts and missile systems. Click here for more information.